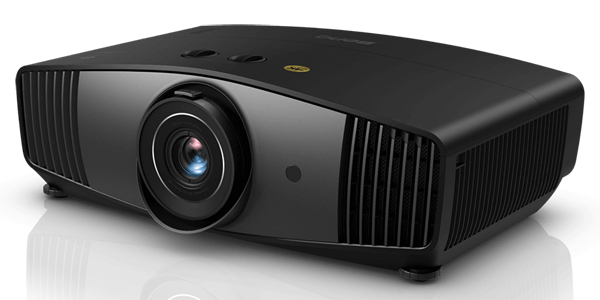 BenQ has announced availability on April 16th of its CinePrime HT5550 4K DLP home theater projector, a step-up model from the recently launched CinePrime HT3550 that adds more premium features and improved performance. Priced at $2,499 vs. $1,499 for the HT3550, the HT5550 represents the first time in several years that BenQ has offered a home theater projector that sits between its $1,500-and-under entry-level models and the high-end HT8000 and HT9000 CinePro series projectors targeted at the integrator channel. This year's HT8060 and HT9060 carry MSRPs of $7,999 and $8,999, respectively, and offer benefits that include an ultra-high-quality 4K lens system and, in the case of the HT9060, a sophisticated LED light engine built on the Philips ColorSpark technology. So while the HT3550 is intended as a replacement for BenQ's earlier HT2550 model, the HT5550 is a new drop-in. Both the HT3550 and HT5550 feature some key benefits that have become increasingly important for home theater enthusiasts, including the ability to reproduce colors across most or all of the DCI-P3 color space that is used to master today's UHD content. DCI-P3 is 26% larger than the traditional Rec.709 HDTV color gamut, offering additional color range in the most saturated reds and greens that becomes obvious with some content. The HT5550 claims full 100% coverage of DCI-P3, while the HT3550 is said to hit 95% of DCI-P3—a nice perk at its modest price point. 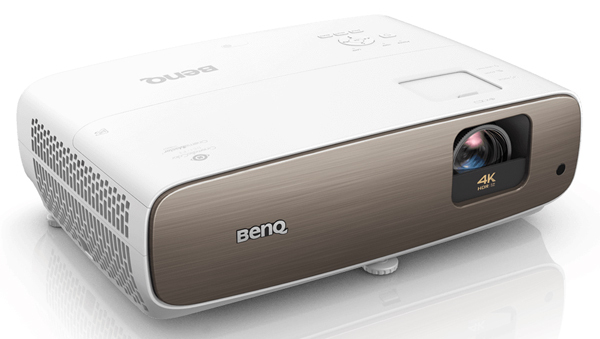 In addition, as part of what BenQ is calling its CinematicColor techology, the projectors both have color modes targeting the D65 reference white point, and have been tuned with an ISF-type calibration at the factory to stay within acceptable error levels of D65 across the full brightness range. D65 is a neutral gray akin to natural daylight that is used to define white in the mastering of entertainment content; displays should ideally reproduce it across their grayscale from the darkest to the brightest whites without any obvious red or blue tint. The HT3550 and HT5550 each come with a certificate from the factory showing the results of their color-space and grayscale calibrations. 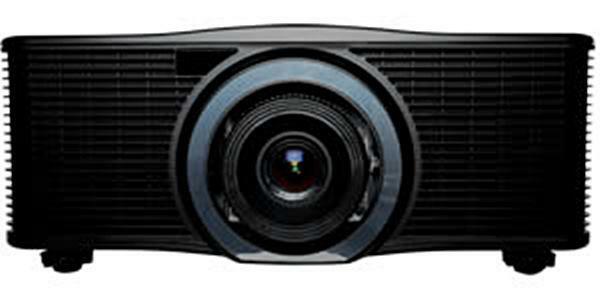 Both projectors also feature compatibility with both HDR10 and HLG high dynamic range content. BenQ has further advanced its HDR tone-mapping and image rendering over its prior generation HDR projectors with a package of technologies dubbed HDR-PRO. It is said to "incorporate auto-color and tone mapping techniques to offer superior brightness and contrast ranges as well as ideal image optimization." The HT5550 distinguishes itself from the HT3550 in a number of ways beyond its slightly wider color gamut. It is built on a larger and heavier chassis to accommodate a bigger and more sophisticated, center-mounted lens (an 11-layer vs. 10-layer all-glass design). While the more compact HT3550 offers a relatively short throw lens with modest vertical lens shift and zoom designed to accommodate close-up coffee-table placements, the HT5550 is more flexible and offers up a generous 1.6x zoom and +/- 60% vertical as well as +/- 23% horizontal lens shift. (Both projectors offer keystone correction, which we always recommend you avoid using to prevent image degradation.) The stylish "4K HDR"-emblazoned barrier visible in front of the HT3550's lens is a stationary shroud that has no effect on image geometry but prevents the lens from spilling light onto the ceiling when it is ceiling-mounted, a complaint with the older HT2550 that has been successfully addressed here. Although the HT5550 offers slightly lower rated full brightness (1,800 lumens) than the HT3550 (2,000 lumens), it has a more sophisticated dynamic iris system that results in a 100,000:1 full-on/full-off dynamic contrast ratio and noticebly deeper blacks vs. the HT3550's 30,000:1 rating. Both models use the 0.5-inch 4K DLP chipset, which relies on a 4-phase pixel-shifting technique to bring all of the pixels in a 3840x2160 UHD-resolution signal to the screen. The connection panels on both projectors are generous. They share in common a pair of HDMI 2.0/HDCP 2.2-complaint HDMI ports; a USB 3.0 input for playback from a flash drive via the onboard media reader as well as a USB power port for use with streaming or other dongles; and both 12 volt trigger and RS-232C serial connections for control. Unusually, each also features a 3.5mm analog audio output and an optical audio output to accommodate a variety of audio playback systems. (The HT3550, which is clearly expected to see more action as a portable projector for temporary setups, also includes a pair of 5-watt stereo speakers. The CinePrime HT3550 began shipping earlier this month and is widely available from online retailers including ProjectorCentral's affiliated resellers. The CinePrime HT5550 will be available at retail starting on April 16th from the same channels; SnapAV will initially have exclusive wholesale distribution rights for the custom integrator community. Equivalent models for the overseas markets are the W2700 (for the HT3550) and the W5700 (for the HT5550). ".... DCI-P3 color space that is used to master today's UHD content. DCI-P3 is 26% larger than the traditional Rec.709 HDTV color gamut." I tend to disagree. DCI-P3 is only used for cinema material mastering and coloring, not to have anything to do with UHD (which is "4K" television). Further, Rec. 709 is not the one used for UHD (television). It is called Rec. 2020. Thanks, Stunko. Actually, you are right, and so is our article. DCI-P3 is used to master most 4K and UHD content today, usually for theatrical release in the case of Hollywood movies. UHD uses a Rec.2020 color envelope, and with rare exceptions, all 4K/UHD displays will recognize a Rec.2020 signal from a UHD Blu-ray or a streamed or broadcast UHD program. These programs mastered at DCI-P3 are transferred into the Rec. 2020 color space, where their outside color limits fall within the DCI-P3 equivalents. Display makers talk about reaching X% of DCI-P3 because there is no consumer display that can show full Rec.2020 color at this time and no consumer content created (or at least, released) with color that goes beyond the limits of DCI-P3. So hitting 100% DCI-P3 really means the display can hit 100% of the DCI-P3 color limits within UHD's Rec. 2020 color envelope. BenQ Europe hasn't confirmed the release date yet. Interesting addition to the BenQ line, I have been searching for a 4K replacement for my W9000 and up to now considering the Optima UDH65, the HT5550 may now be in the running! I am looking forward to your review so that I can compare these two projectors. The HT3550 sounds very interesting for my use case. When the input lag is okay I‘ll buy it. Looking forward to the Projector Central review! We will certainly be looking at input lag when we test this, Chris, both 1080p and UHD. Hey thanks for this intro. I'll look out for the review. For me, $1500 USD is the point at which I'll seriously consider upgrading to 4k if it's a significant improvement on 1080. I don't care about the underlying tech if it simply works well. Cheers. - Resolution: there's a good argument made that the extra pixels going from 1080p to UHD are lost on most flatpanels due to the small screen size and typical viewing distances. However, with projection the difference in sharpness and detail while watching 4K content on the big screen is a much more obvious and discernible benefit. - HDR and wide color gamut: HDR is the big one here. Even though projectors can't hit the bright highlights that flatpanels can, there is most definitely an obvious boost in highlights and overall dynamic range on the better HDR projectors. And the good news is that after two or three years of stumbling around in the dark (pun intended) trying to find the right formula for handling HDR tone-mapping for projectors and attempting to adapt it to a display type that it was really not designed for, the manufacturers have clearly started to refine things in this year's new generation of product. So it's not a bad time to jump in. The other plus when you gain access to UHD content is the wide color gamut that goes hand in hand with UHD HDR content. You won't always see the extra colors that wide gamut affords, but content that relies on heavily saturated reds and greens will usually look more natural and robust. And manufacturers are also pushing the edge of their wide gamut capabilities as well in the newer projectors. Where the ability to hit 100% of the DCI-P3 space (see my response to Stunko's comment above) was reserved for more expensive products in the past, even affordable models like the BenQ HT3550 discussed here are providing something close to full coverage now. Bottom line: while I'd say there were some good reasons for prudent shoppers to hesitate on going 4K up till this point, including a relative dearth of available UHD content on disc and streamed from the internet, that's a much tougher argument to make now. Although other traditional factors remain critical in selecting a projector (contrast and blacks, quality of the optics, etc. ), it's hard to say now that 4K isn't absolutely ready for prime time. When do you expect to post the reviews on both the projectors? Will you be able to do any head to head comparison with Epson 5050ub? We have the HT3550 and Epson HC5050UB in house now and are working on both reviews; I expect them to be up within a couple of weeks. We've been promised a sample of the HT5550 so no timetable yet on that.